1. The Great Gatsby (2013)This is the newest movie on the list, and one of your students may be familiar with. It tells the story in a way that will only further the students’ understandings of the novel itself. The strength of the film lies in the lavishness and the grandeur portrayed in each scene that is found throughout the novel. The music of the film takes a more modern approach that will allow students to place the story within their sense of understanding. 2. To Kill a Mockingbird (1962)As the oldest film on this list, students may not be interested in it. But it is a classic for a reason, and once students understand the importance of the story, they will be happy to watch it and see the events of the novel unfold beautifully and humanely. They will be able to fall in love with the characters as they watch them interact and depict the scenes they know and love from the book. 3. Pride and Prejudice (2005)If your class is reading Pride and Prejudice, the 2005 version of the novel is the movie they should watch. It sticks to the novel pretty well, with changes of course as any adapted movie will have differences, but this movie is both beautiful and reflects the novel well. There are other adaptations of Pride and Prejudice that are fantastic, like the television series version from 1995, but the 2005 version is exceptional. Kiera Knightly is a tremendous Lizzy Bennett, and it will be a refreshing look at the novel for your students. 4. Romeo + Juliet (1996)This may be the perfect movie to share with your students if you have just finished reading Romeo and Juliet. The film is set in a modern, modern as in a ‘90s setting, with the dialogue taken straight from the Shakespearean play. This allows the play to be placed in a context the students can grasp. Students will appreciate the familiarity of both the actors and the time period, allowing the story to be seen and understood better than when merely reading a text that was written over 400 years ago. 5. Hamlet (1996)This is another piece of William Shakespeare’s work that appeared to be pretty popular in the mid-1990s. This particular adaption of the play is said to be one of the best versions and connects well with the writing. Students will be amazed to watch this incredible play done as a film. If you want to connect Hamlet to more pop culture, assign them Disney's The Lion King to watch as, as this popular animated film is a fairly tame version of Hamlet, but with lions. If they grew up with the film, this bit of information will allow them to understand the play than better before. 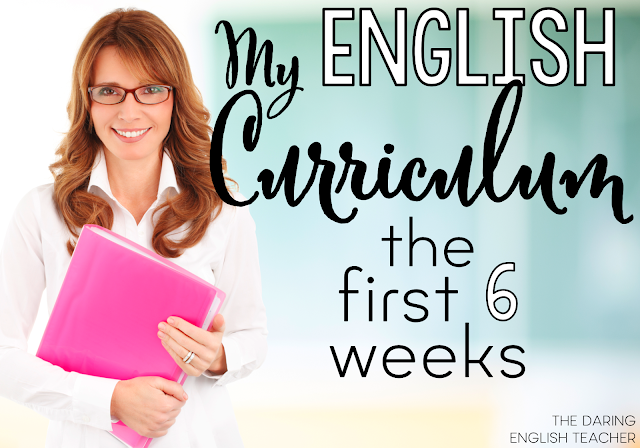 Students will appreciate a homework assignment of watching a movie and especially when they can notice the differences between the films and the novels. Having them write a paper about the differences and what works better in the films versus the novels will also further their understanding of the text and allow them to do some deeper thinking about what they are reading. 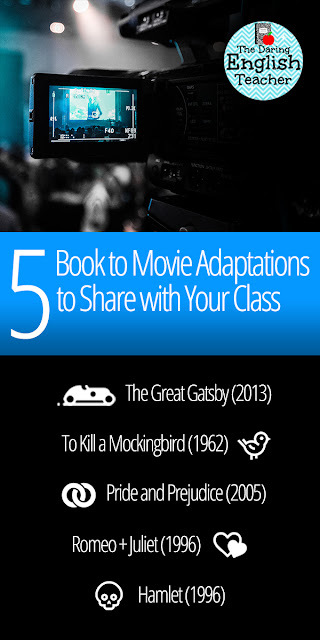 Teaching films with novels can be greatly beneficial for your class as a whole.